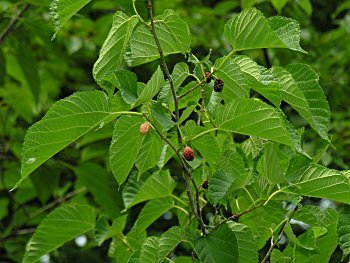 Red Mulberry in an uncommon medium-sized understory tree. 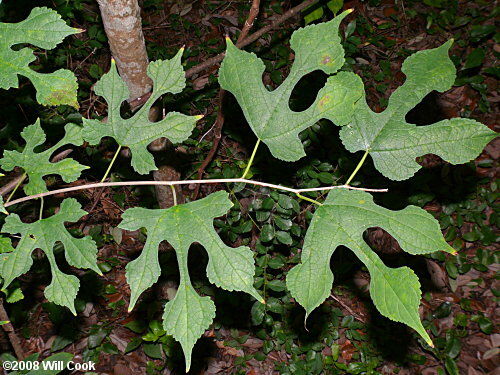 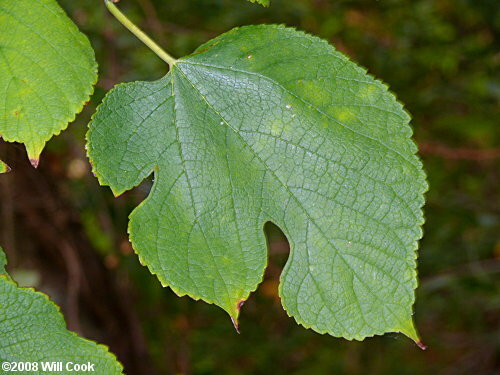 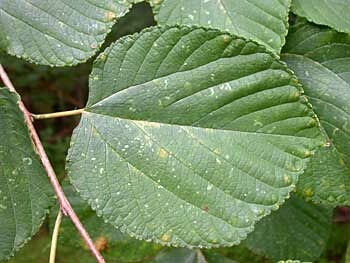 The leaves are similar in shape to the naturalized White Mulberry (Morus alba), but are rough above and not glossy, and also similar to Paper Mulberry (Broussonetia papyrifera), but are not as rough-hairy. 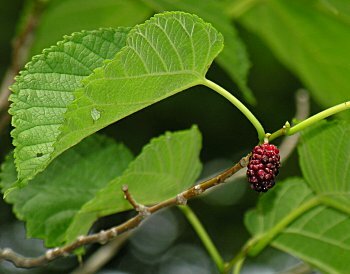 Confusing the situation, Red Mulberry and White Mulberry often hybridize, resulting in trees with intermediate characteristics. 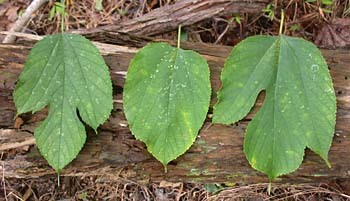 In some areas hybrids are more common than either parent species. 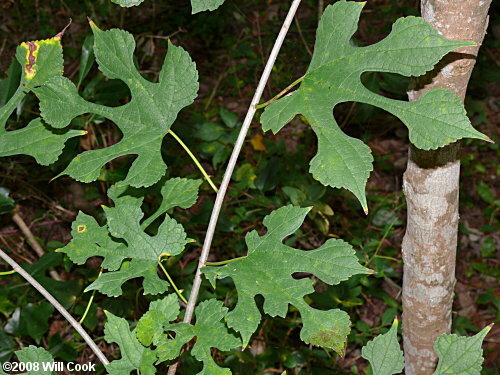 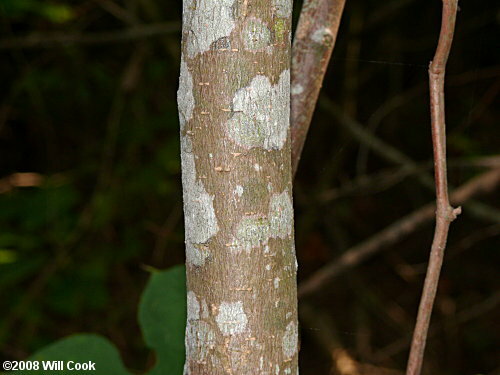 Red Mulberry is listed as a species at risk in Ontario in large part due to hybridization. 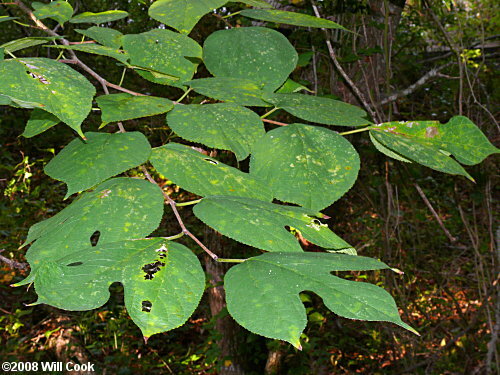 As with Sassafras, the leaves are highly variable - these three were taken from one tree. 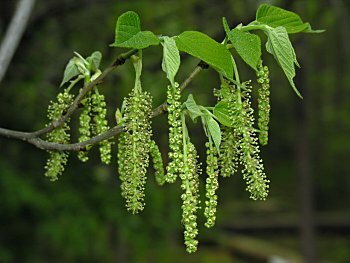 Staminate (male) flowers. 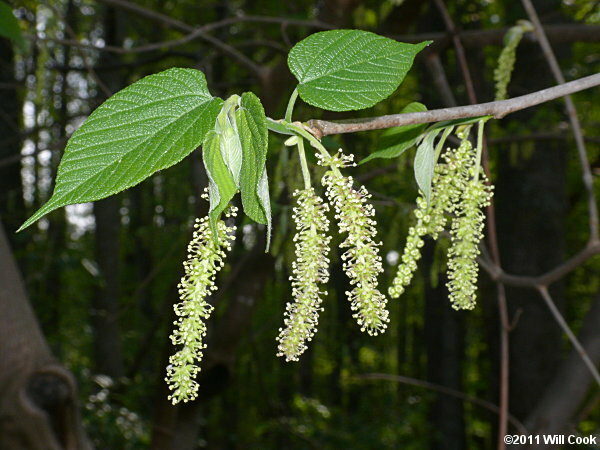 Flowers appear in April. 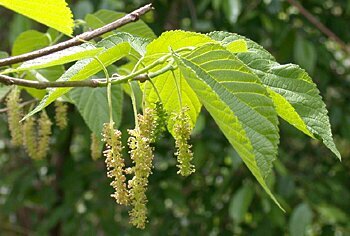 Staminate flowers. 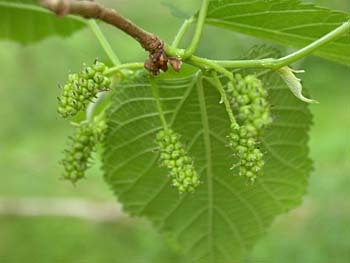 Mulberries are dioecious - male and female flowers are normally on separate trees. 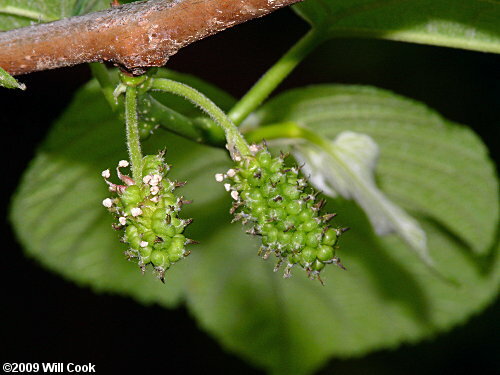 The tasty aggregate fruits produced from female flowers are black when mature and look a lot like blackberries. 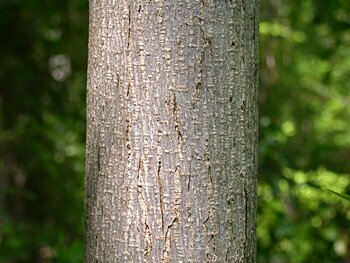 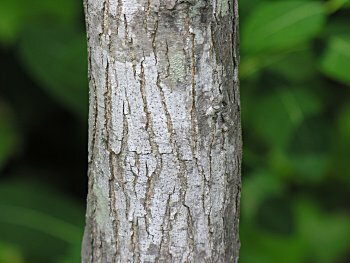 Bark of a small tree. 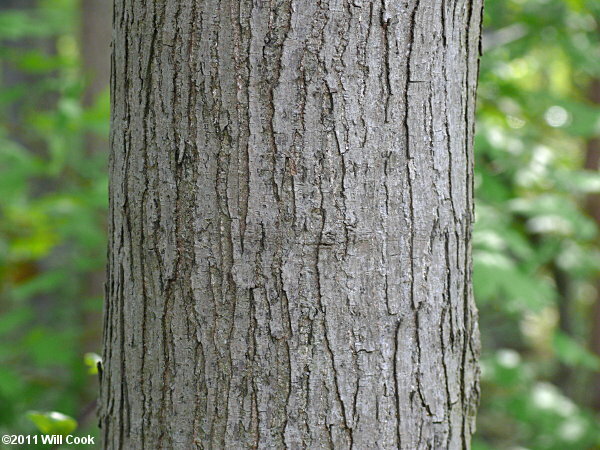 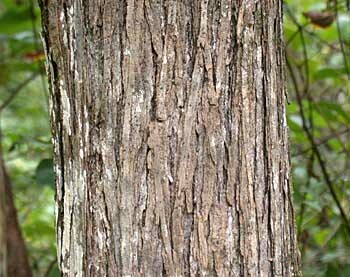 Bark of older trees is rough, with long ridges.